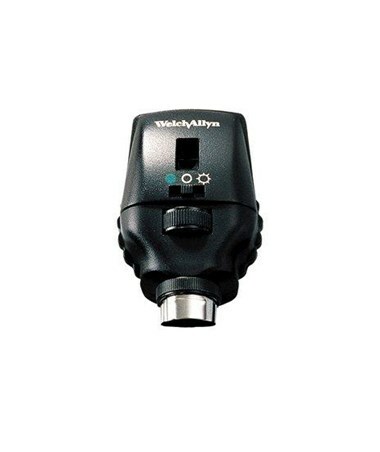 Welch Allyn Coaxial ophthalmoscopes incorporate a patented coaxial optical system, allowing the axis of illumination to be coincidental with the axis of vision into the retina, thereby eliminating annoying shadows and facilitating examination through virtually any size pupil or vitreous disorder. The fundus and interior anatomy of the eye are viewed with precision and clarity. 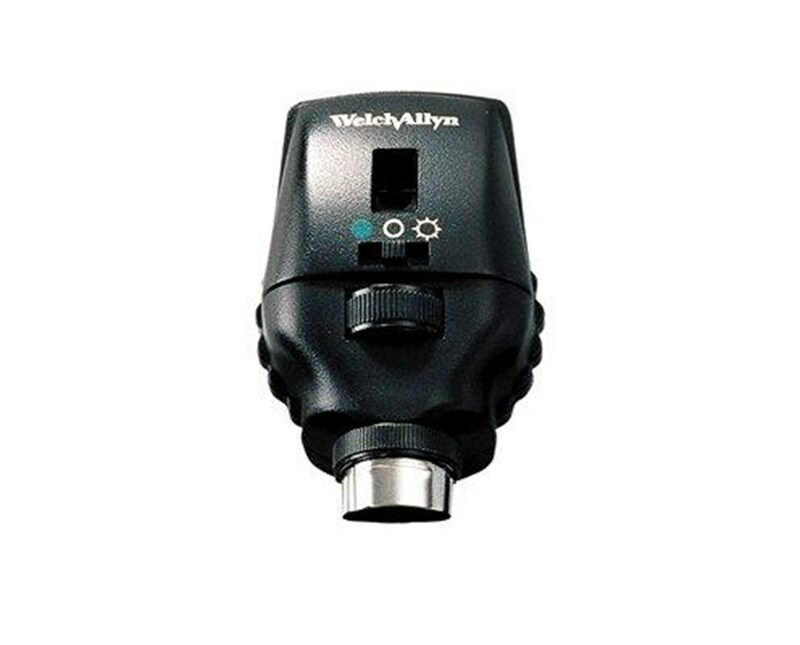 The Welch Allyn AutoStep® Coaxial Ophthalmoscope sports 68 lenses in single-diopter steps for precise resolution (+38 to -30) with fast, accurate one-hand selection. 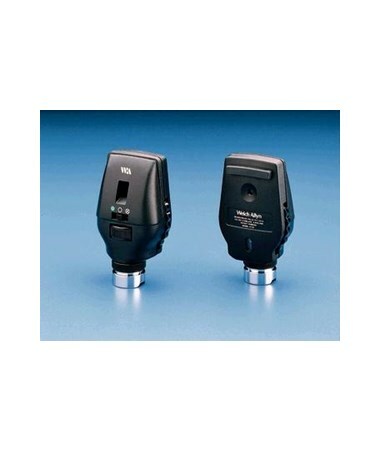 This helps compensate for patient or examiner refractive error, the position of the ophthalmoscope and the changes in viewing requirements necessitated by focusing on different points within the eye. The 3.5 V Coaxial Autostep offers an additional crossed linear polarizing filter/red-free filter switch that increases the versatility of this instrument. 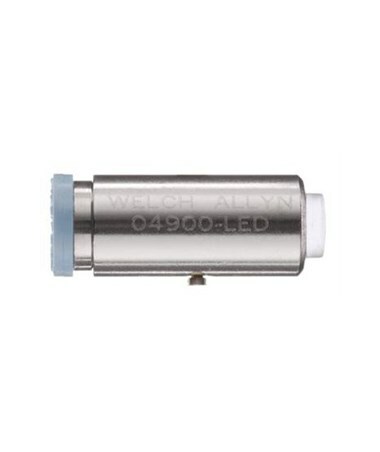 The illuminated lens dial enables the practitioner to check the lens being used for a particular examination even in a darkened examination room. The brow rest allows the practitioner to use his/her own eyeglasses comfortably and safely. It also steadies the instrument while in use. In addition to examination of the fundus, the ophthalmoscope is a useful diagnostic aid in studying other ocular structures. The light beam can be used to illuminate the cornea and the iris for detecting foreign bodies in the cornea and irregularities of the pupil. Package includes 3.5 V AutoStep® Coaxial Ophthalmoscope (head only), User Manual and comes with a 1-Year Warranty.